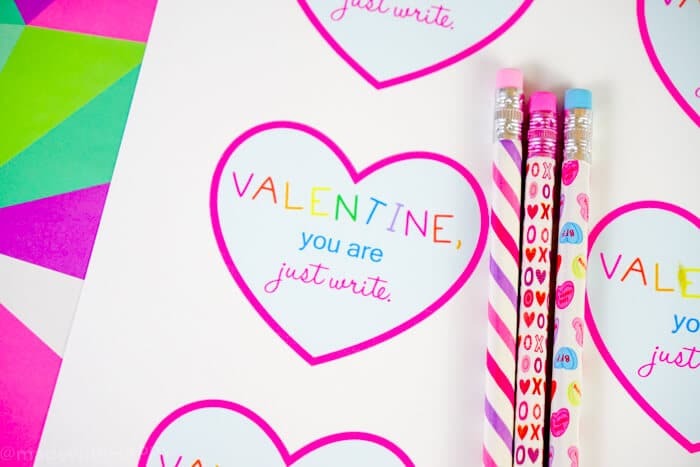 This little printable Valentines Card with Pencils has been used in our house more times than I’d like to admit. 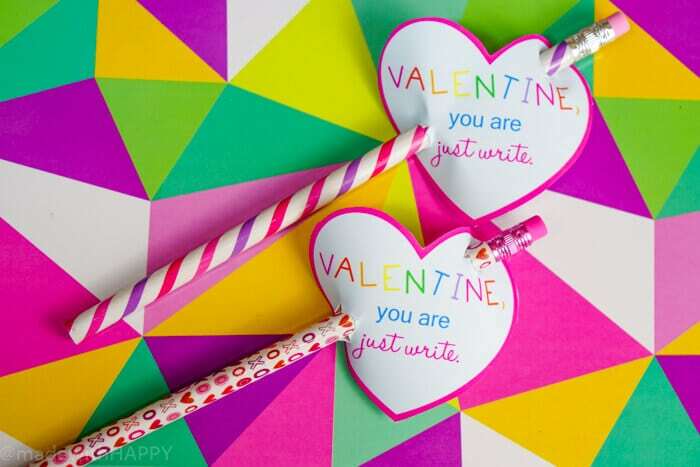 Its quick, its easy and inexpensive Valentines that your kids will love to hand out. Having been at our elementary school for a number of years now, fellow parents (and friends) know what it is I do and realized pretty quick that Valentines is my jam. It starts about a week out from Valentines when I start getting all the questions. So many questions, so little time. 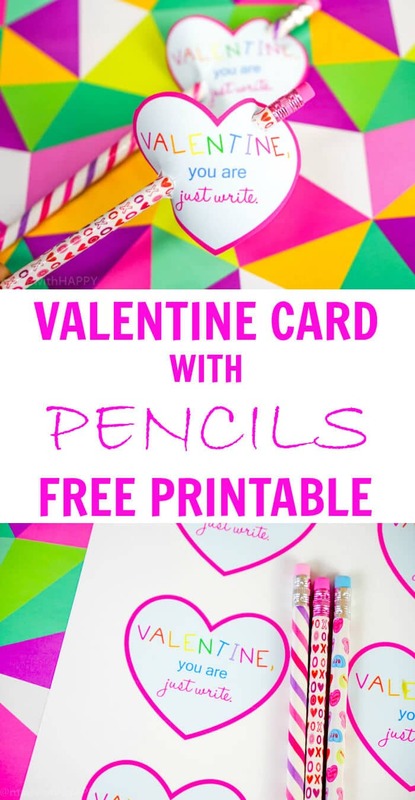 I have lots of fun Valentines Crafts and Activities and lots of great Valentines cards. While I love the Birdseed Heart Valentines, the Gumball Valentines, the easiest is my pencil Valentine that I made a few years ago with Twig Pencils. I figured the twig pencils might have been throwing everyone off a bit, so I created this post to reassure you that it can be used with any pencils. 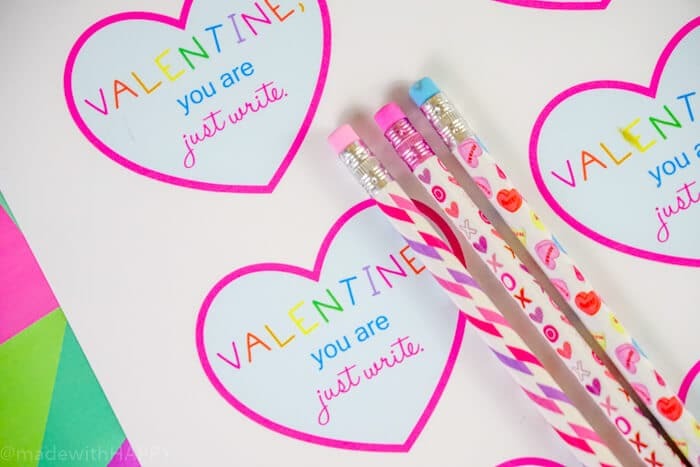 Around Valentines, you can find packs of Valentines Pencils everywhere. Dollar Store, Dollar Spot at Target or Michaels. You can literally cover an entire class in one or two packages. Then print these puppies out. Have your kid sign the bottom and boom! You can get your printable here. PIN IT TO YOUR HOLIDAY BOARD ON PINTEREST! 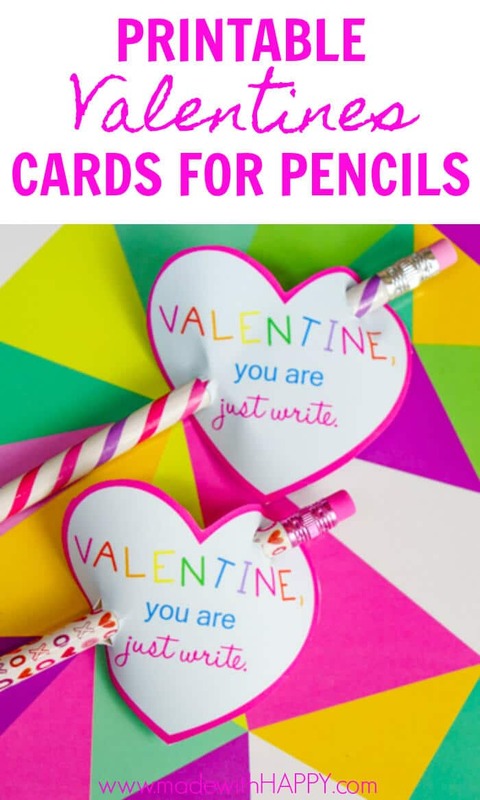 FOLLOW MADEWITHHAPPY ON PINTEREST FOR MORE GREAT VALENTINES IDEAS!